I am a senior researcher at OMRON SINIC X Corporation in Tokyo. Formerly, I was with RIKEN AIP Center in Tokyo as a postdoctoral researcher. I am interested in discrete optimization and its applications on low and middle-level computer vision problems. I am also enthusiastic about interesting applications of deep neural nets. Call for interns: I am looking for an intern who can intensively work with me on a computer vision research problem using deep learning, aiming at publishing a paper at CVPR/ICCV/ECCV/ICML/NIPS. Tatsunori Taniai, Yasuyuki Matsushita, Yoichi Sato, Takeshi Naemura. Daniel Scharstein, Tatsunori Taniai, Sudipta N. Sinha. Tatsunori Taniai, Sudipta N. Sinha, Yoichi Sato. Tatsunori Taniai, Yasuyuki Matsushita, Takeshi Naemura. Tatsunori Taniai, Viet-Quoc Pham, Keita Takahashi, Takeshi Naemura. 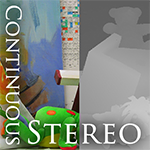 A fusion approach of multiview stereo and photometric stereo. Twelve weeks of research internship supevised by Dr. Sudipta Sinha. Part of the internship achievements has been published as a CVPR 2017 paper. Three months of visiting research supevised by Dr. David Wipf. Part of the internship achievements has been published as a CVPR 2016 paper. Four months of research internship supevised by Dr. Yasuyuki Matsushita. Part of the internship achievements has been published as a CVPR 2014 paper. from Microsoft Research Asia for 13 PhD studens studying CS in Asia. (2015-2017). Tatsunori Taniai, Yasuyuki Matsushita, Yoichi Sato, Takeshi Naemura. Continuous 3D Label Stereo Matching using Local Expansion Moves. IEEE Transactions on Pattern Analysis and Machine Intelligence (TPAMI 2018), vol. 40, no. 11, pp. 2725--2739, 2018. Daniel Scharstein, Tatsunori Taniai, Sudipta N. Sinha. Semi-Global Stereo Matching with Surface Orientation Priors. In Proceedings of the 5th International Conference on 3D Vision (3DV 2017 Spotlight), pp. 215--224, Qingdao, China, 2017. Tatsunori Taniai, Sudipta N. Sinha, Yoichi Sato. Fast Multi-frame Stereo Scene Flow with Motion Segmentation (CVPR 2017). The 20th Meeting on Image Recognition and Understanding (MIRU 2017), Hiroshima, Japan, August 10th, 2017. Tatsunori Taniai. Joint Recovery of Dense Correspondence and Cosegmentation in Two Images. The Workshop on Vision, Learning, and Cognition in Microsoft Research Asia Ph.D. Forum 2016, Microsoft office, Beijing, China, September 20th, 2016. Tatsunori Taniai, Sudipta N. Sinha, Yoichi Sato. Joint Recovery of Dense Correspondence and Cosegmentation in Two Images (CVPR 2016). The 19th Meeting on Image Recognition and Understanding (MIRU 2016), IS2-15, Shizuoka, Japan, August 4th, 2016. Tatsunori Taniai, Yasuyuki Matsushita, Takeshi Naemura. Superdifferential Cuts for Binary Energies (CVPR 2015). The 18th Meeting on Image Recognition and Understanding (MIRU 2015), IS1-10, Osaka, Japan, July 28th, 2015. Tatsunori Taniai, Yasuyuki Matsushita, Takeshi Naemura. Graph Cut based Continuous Stereo Matching using Locally Shared Labels (CVPR 2014). The 17th Meeting on Image Recognition and Understanding (MIRU 2014), IT1-1, Okayama, Japan, July 29th, 2014. 谷合竜典, 苗村健. 画素位置を埋め込んだ双色分布マッチングによる画像セグメンテーション. 画像の認識・理解シンポジウム （MIRU2013）予稿集, SS3-31, 東京, 2013. 谷合竜典, ファン・ヴェト・クォク, 高橋桂太, 苗村健. 前景および背景色分布の同時マッチングによる画像セグメンテーション. 画像の認識・理解シンポジウム （MIRU2012）予稿集, OS14-02, 福岡, 2012. Tatsunori Taniai. Discrete Inference Approaches to Image Segmentation and Dense Correspondence. Doctoral Thesis. March 2017. The University of Tokyo. Adviser: Yoichi Sato. Tatsunori Taniai. Applying Graph Cuts to MAP Estimation of Continuous and Higher-Order Markov Random Fields. Master's Thesis. March 2014. The University of Tokyo. Adviser: Takeshi Naemura. (Foreground Background Image Segmentation using Dual Distribution Matching). Bachelor's Thesis. March 2012. The University of Tokyo. 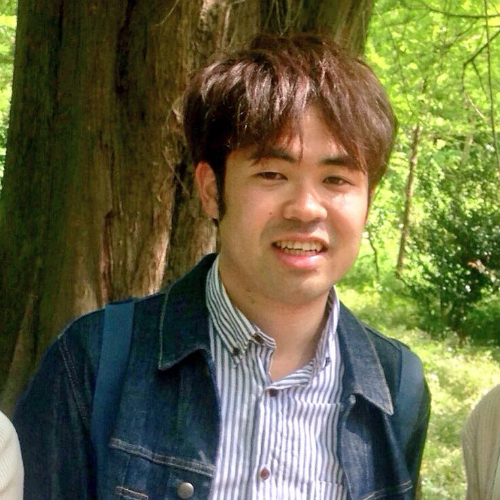 Adviser: Takeshi Naemura.